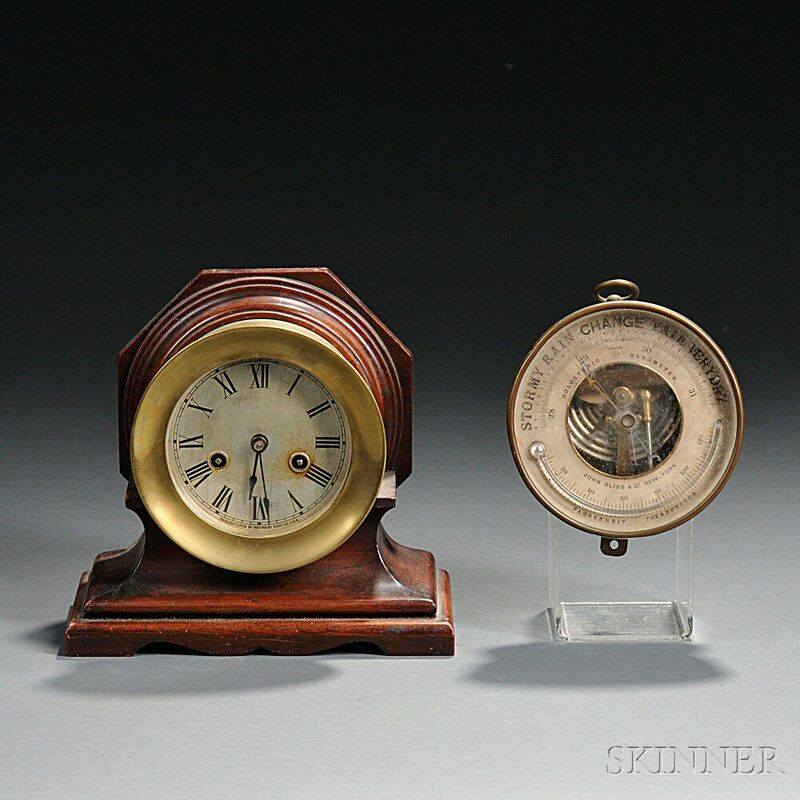 Waterbury Ship's Bell Clock and John Bliss & Co. Holosteric Barometer, 20th century, the Waterbury clock with a 4-in. silvered Roman numeral dial marked in part Waterbury Clock Co., hinged brass bezel, mounted to a mahogany case; the 4 1/2-in. 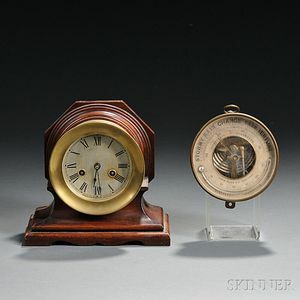 barometer dial marked John Bliss & Co New-York with thermometer and barometer readings from 28-31.